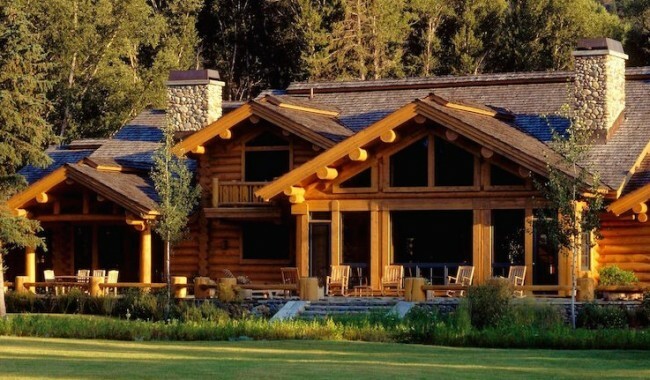 Home / Why We Love Log Homes and Cabins Blog / Your Home is Your Castle. Build it to Last! Your Home is Your Castle. Build it to Last! I was shocked and embarrassed by the French girl’s innocent question as she looked at a photo showing a typical North American subdivision. “Is this temporary housing?” she asked. One of our daughters is attending university in Normandy where houses have been homes for hundreds of years, 700 years old churches tower over the sidewalks, and a castle in the center of town dates back to 1060. 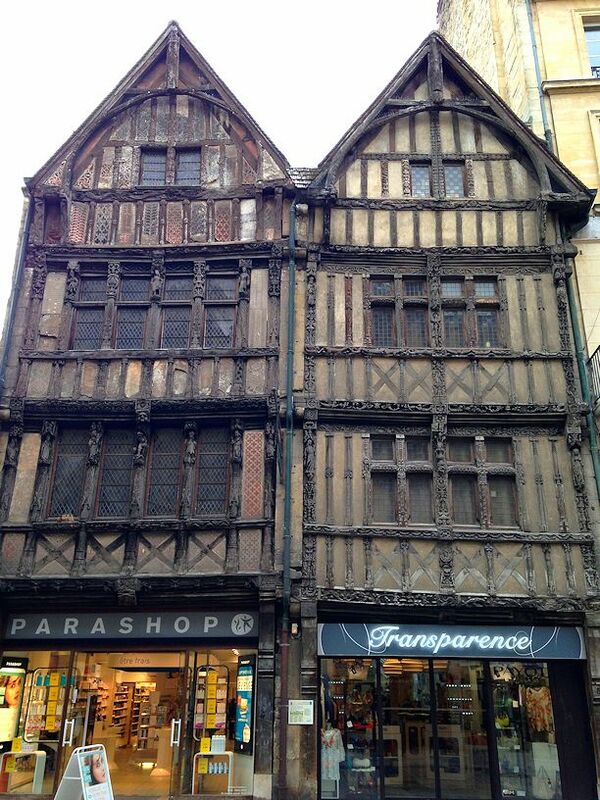 Old timbered structures are common here, too. All over the city there are bullets embedded in the walls of the buildings but this is apparently no big deal to the locals or to students who jog casually along trails in the moat or walk through the chateau grounds texting on the way to classes. Allied efforts to push back Nazi forces after D-Day in 1944 caused great destruction in the city of Caen but the restoration results are incredible. Respecting the past while building for the future seems to be more common in Europe than in North America. Is it because we’ve never experienced a war on our soil that we’re okay with mass-producing delicate dwellings and we don’t expect them to last very long? At North American Log Crafters, our family builds strong and enduring log homes, log post and beam and timber frame. Our work stands out in a “disposable” society and we can confidently state that, with basic maintenance, any of our quality log or timber homes can expect to measure its life-span in centuries. 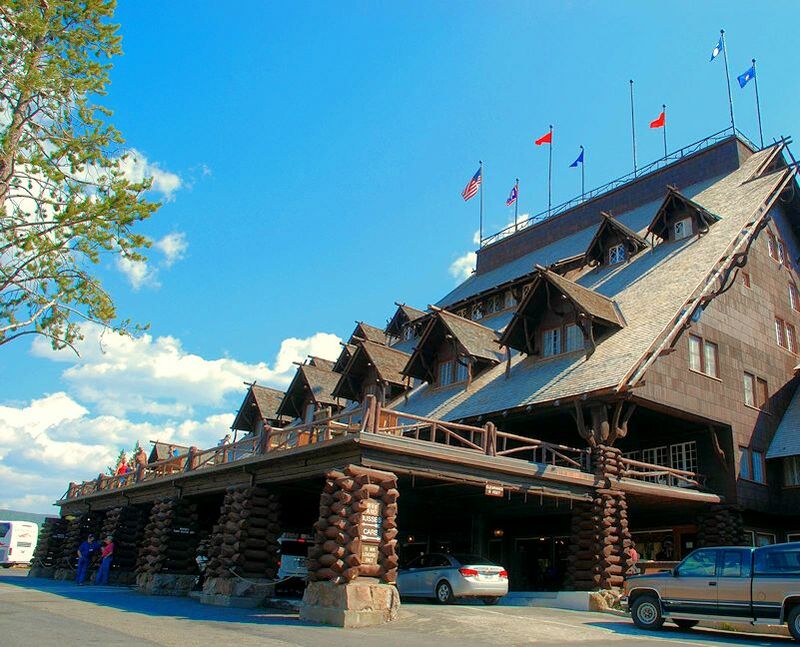 A few years ago after meeting clients in Jackson Hole, Wyoming we drove through Yellowstone National park and explored the Old Faithful Inn, a large historic log hotel. It’s a respectable age by our western Canada standpoint but, built in 1903, it’s a youngster compared to some elabourate old log buildings in Russia (Click on the links in red.) While crowds appreciate heritage log buildings in the United States and Canada, the future of the unique Russian traditional log architecture is at risk because little money is available to provide essential upkeep like roof repairs. North America does boasts some ancient log cabins which, ironically, were not always intended to be permanent structures. Proving that a log cabin is anything but temporary, the C. A. Nothnagle house in New Jersey still receives visitors nearly 400 years after it was built around 1638. Long lasting log homes can be taken apart and reassembled (which is exactly how we deliver your new log home to you) a handy feature that means that an old log cabin might have had more than one address in its lifetime! Building to last might be more a little more work initially, but the long lasting benefits are indisputable. Japan’s oldest wooden building has withstood nearly 50 earthquakes! It’s secret? Japan’s oldest wooden building: cleverly engineered timber construction and the strategic location of a large pine trunk that actually supports no weight at all. I don’t know about you, but I’m tired of resigning myself to the fact that nothing I buy seems to last anymore! In our modern world we want new things, we want them cheap, and we want lots of them. In this equation quality is the first thing to suffer. Why accept this from your home when its sole purpose is to shelter you and your family? Fortunately our log homes hand built from premium timber are an exception to what’s going on around us. Our log homes and log cabins, log post and beam and timber frame are constructed meticulously using traditional techniques. You can expect the best log work possible in your log home or cabin from North American Log Crafters and feel confident in the quality of your timber work or log post and beam. Trust our 40 years of commitment to excellence in handcrafted log building for your new log home and you CAN take for granted that it’s built to last!